The UK once had a deserved reputation for pragmatic and stable politics. That will not survive the spectacular mess it is making of Brexit. … In an unnecessary referendum, a small majority chose an option they could not understand, because it had not been worked out. Thereupon, a new prime minister, with no knowledge of the complexities, adopted the hardest possible interpretation of the outcome. She triggered the exit process in March 2017, before shaping a detailed negotiating position. Some 70 days later, in an unnecessary election, she lost both her majority and her authority. A year on and little has changed. Although austerity has reduced current Government borrowing from 9.9% to 2.6% of GDP the overall debt continues to rise. It was worth about 37% of GDP in 2007 but has since leapt to almost 90% today and is still rising. The British ruling class congratulate themselves that this is only a fraction of world debt which, at $217 trillion, is equal to 327% of global GDP. However if we added the borrowings of RBS (which is 73% owned by the Government) they would “dominate” the figures (BBC News 29 June 1917) which would then be much higher. Whilst the working class have paid for the Government’s reduced borrowing (to the extent that personal debt in the UK now approaches £30,000 for every adult) the fact that the economy is stagnant means that the tax receipts are not coming in. According to the Office for Budget Responsibility the average annual growth rate of 2.2% will not be met again this year. They cut their latest forecast to 1.8% according to the Guardian (13 July 2017) and what is more have warned that a new recession within 5 years is “inevitable” before we have even recovered from the last one! And every 0.1% cut in growth wipes billions off expected Government revenues. So how does capitalism get out of the next looming disaster. Corbyn’s Labour are in no doubt that adopting Keynesian polices will recreate “effective demand” that will then “prime the pump” to kickstart the economy. Paradise on earth? Not so. Let’s not forget how we got to here. In 2007-8 the speculative bubble which had been built on a mountain of corporate and personal debt burst. But why was there a speculative bubble at all? As Marx demonstrated in Capital (Volume 3) this is based on fictitious capital. Fictitious capital only becomes significant when the rate of profit is so low that investment in the development of material commodities falters. In search of a higher rate of profit the capitalists look for new means to increase capital. What fictitious capital really implies is a claim on surplus value which has not yet been created. As long as the debts are serviced fictitious capital’s secret can be hidden but once the chain of default becomes too long, and then snaps, the consequences are enormous, as we saw after 2007. It is not deficient demand which is the cause of the rise of speculation but the lack of investment due to a low rate of profit. In their simplistic way the Corbyn campaign is selling a lie. The problem is not the austerity policy of the Tories (grief though that causes us) but the contradictions of the profits system which is now past its sell-by date. Our slogan is not “Tories Out” but “Down with Capitalism”. The problem is that the system will not disappear of its own accord despite the optimism of some amongst the communisation movement. 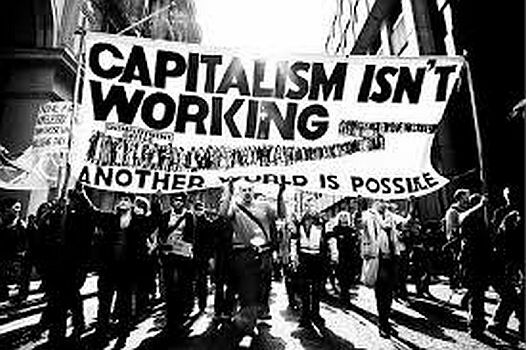 Capitalism has to be fought as a global system by the one global class that is exploited everywhere – the world working class. Currently that class is slowly recovering from decades of retreat and restructuring and it will be some time yet before it is ready to take up the task of fighting the system. We will have to go through a long period of partial struggles and growing confidence before we will see the emergence of a new movement. In the meantime it is the task and role of revolutionaries to fight within those struggles to point to the future, to criticise those who claim the system is reformable, to unite workers across nations, sections and cultures and create a political organisation which can lead their resistance in an international movement. Its either that or the capitalist system imposes its own solutions. The same crisis that is revealing the political contradictions amongst our rulers (and not just in the UK) is also increasing international imperialist tensions. As each state seeks to blame the “other” for its economic woes (and Trump’s “America First” is only the crudest expression of nationalism which is on the rise everywhere) trade wars, cyberwars, drone wars etc have all joined mass aerial bombardment as instruments of a decaying system. There will be many more Aleppos, Mosuls and Sana’as before the scourge of imperialism and the forces which feed it are wiped out. The stakes are high (and we have not even dealt here with the depredations which threaten the planet’s ecology) but a movement of the vast majority is the only force which can undermine the threats which capitalism poses to our future existence. We have a world to win. The above document is the editorial from Revolutionary Perspective 10 (Series 4). It is now available (£5 including postage) from our group address (for the rest of the contents and subscription rates see side panel). While I agree with the economic analysis I'm not so sure that the emergence of a working class consciousness that is grounded in a communist perspective will emerge will actually emerge. After all the working class struggles from 1917-45 all were carried out using a capitalist perspective. By this I mean that the majority of the working class, in all countries, rebelled against their respective capitalist class yet they did not have a clear communist perspective. For instance the German workers of 1919-23 on the whole followed the SPD and wished an end of the first world war and following 1918 wished to see a capitalist democracy similiar to the UK/USA. In all cases the minority communists had little if any influence the real influence was the reformists. I fear that this will be the same today. Which is, of course, what we are fighting to avoid even though the odds against us are not good at present. I think that the present moment is characterised by protest. Workers can be active in this moment but not be against capitalism which is why the Labour Party is still so influential. The 1920's were the time of rebellions with one revolution the Bolshevik Revolution of 1917. But the illusions about Labour are often maintained by those who claim to be revolutionaries and that will be the target of our next article. Unless there is someone out there making a critique of all that exists then we will never create a focus for a new movement to face up to the contradictions of a system now demosntrably past its sell-by date.